The use of aromatherapy has risen greatly during recent decades and its use is now recognised by many different professions including those involved in healthcare as it has proven to be beneficial for many physical and psychological conditions. Aromatherapy is a complimentary therapy in which essential oils are derived from plant matter and concentrated and distilled into very powerful solutions. The substances that are distilled and collected can be used in a number of ways. They can be applied directly onto the skin and used as massage oils or ointments, may be directly inhaled, can be weakened and inhaled, used as airborne diffusions of scent or added to other preparations. Aromatherapy preparations can be made up especially for the user if required. Many aromatherapy organisations are happy to listen to your needs and formulate preparations that are tailored for your individual needs, so most people will find something that can help them. How Can It Help Those Suffering With Fibromyalgia Symptoms? 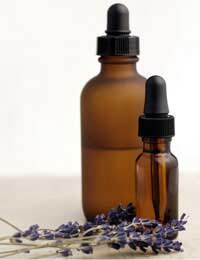 Aromatherapy can help fibromyalgia sufferers in a number of ways. Not only can the different scents alter a person’s mood but if it is combined with massage it can relax and encourage flexibility of the joints and muscles and increase the circulation around the body therefore improving oxygenation of the tissues. The practices can be continued at home using specially formulated bath oils, candles and burning oils that will help relax the person both mentally and physically. If you have specific areas that are troublesome or tend to find symptoms worsen as the seasons change, including your overall mood, aromatherapy can be used on an ad hoc basis offering relief as and when required. Aromatherapy can be learned and used at home with the guidance of books, leaflets and DVDs although there are many preparations that can be bought in shops and over the counter that include essential oils in their ingredients. The therapy can be used as little or as much as a person feels they require and may be as little as a scented bubble bath right up to burning special blends of oils that have been prepared with the aim of achieving specific objectives. Aromatherapy can also be in combination with massage for added benefits and though this can be done at home, it is often worth seeking professional advice if you suffer with fibromyalgia, as massage carried out by anyone other than a trained masseuse may exacerbate symptoms; the same is true for anyone suffering with any other musculo-skeletal disorders. Aromatherapy can be carried out by trained therapists and they will give you guidance on which preparations will work best for your symptoms and may target specific fibromyalgia complaints or be used more generally for release of stress and tension. Always tell your therapist of any medications you are taking and of any other physical conditions you may have, as some of the oils may be unsuitable for use and may interfere with your drug regime. If you are going to practice aromatherapy in your home, please speak to your doctor first to make sure you are safe to use the preparations. Fibromyalgia can be extremely debilitating for sufferers and sometimes there seems to be little or no relief of the symptoms using conventional medical techniques and medications. Increasing numbers of fibromyalgia sufferers are looking into complimentary and alternative medicines to try and gain some relief and this includes the use of aromatherapy, often in conjunction with massage.